in your great compassion blot out my offenses. Penitent Pray for me, a sinner. Priest May God in his love enlighten your heart, that you may remember in truth all your sins and his unfailing mercy. Amen. Hear the Word of God to all who truly turn to him. and obedient heart to Almighty God, our Creator and our Redeemer. inheritance of your saints, and have wandered far in a land that is waste. Especially, I confess to you and to the Church. . . Here the Penitent confesses particular sins. ​ redeemed the world, your Son our Savior Jesus Christ. Amen. The Priest may then offer words of comfort and counsel. Priest Will you turn again to Christ as your Lord? 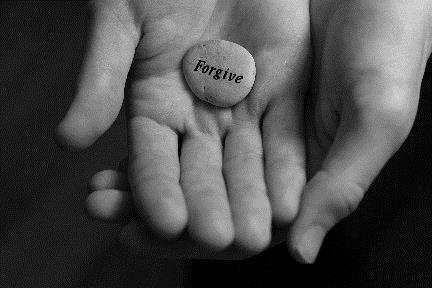 Priest Do you, then, forgive those who have sinned against you? in all goodness, and by the power of the Holy Spirit keep you in eternal life. Amen. of the Holy Spirit, and restore you in the perfect peace of the Church. Amen. of the Son, and of the Holy Spirit. Amen. Penitent Thanks be to God.